One of my favorite movies of all time is Rounders. Firstly I love poker, even though I can’t play worth a darn, and I really thought it was cool when Matt Damon’s character figured out Teddy KGB’s “tell”. It’s when a poker player has a nervous tick or something that gives away what they’ll do next. UGA’s “tell” defensively is that they show their blitz before the snap. I’ve watched a few of their games and they have continued to do this. 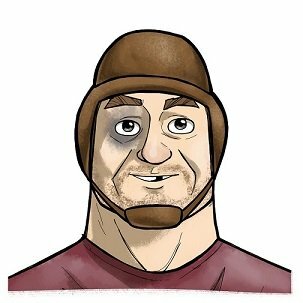 Now the thing I know is that if they do this to Riley and Mayfield, those two will have a heyday. 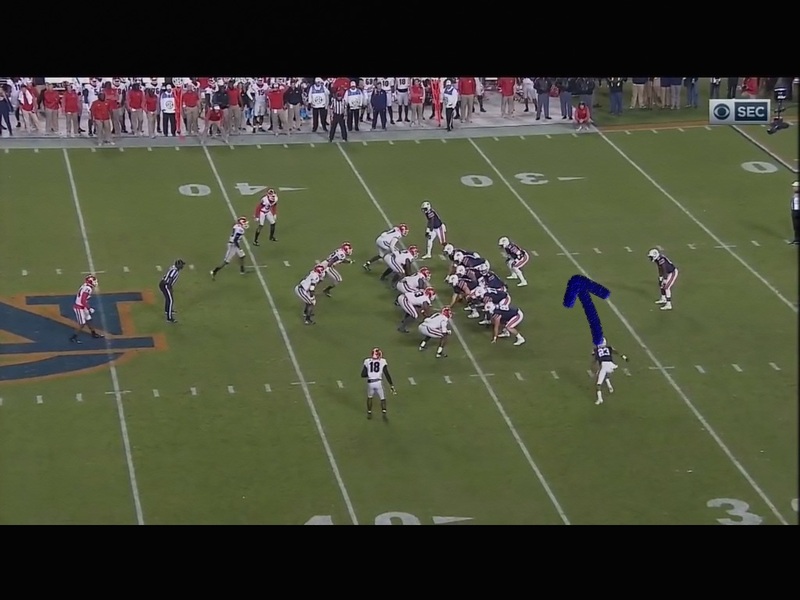 Malzahn and Stidham run a screen right into where the blitz left the vacated area. Now it’s a numbers game with 3 on one outside with OL coming out to help. The OL does a nice job working inside out, and while #50 doesn’t get a clean block on Smith, the LB, he makes him work around him. As the back catches the pass he’s got a good lane to get up into. 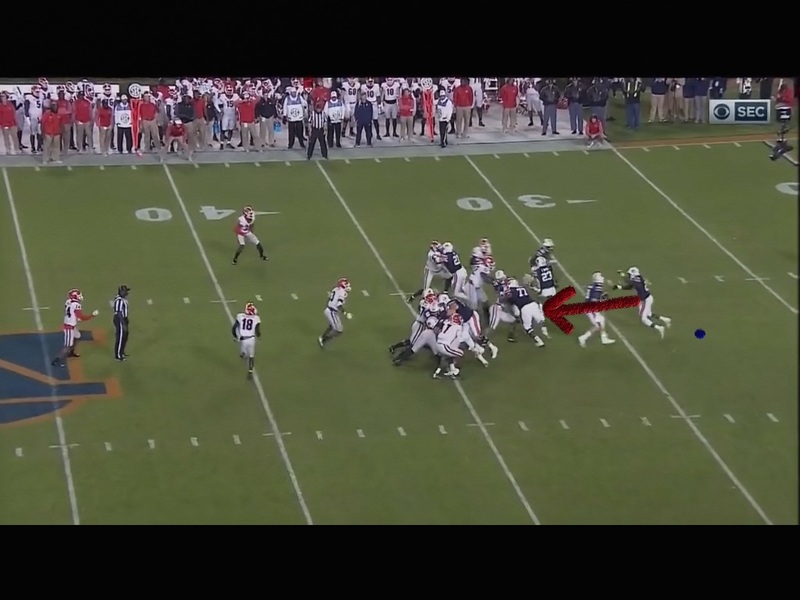 As he gets a full head of steam, his tackle still hasn’t had to block anyone since the play is set up so well. His runner’s instincts have taken over, and he’s at top speed. 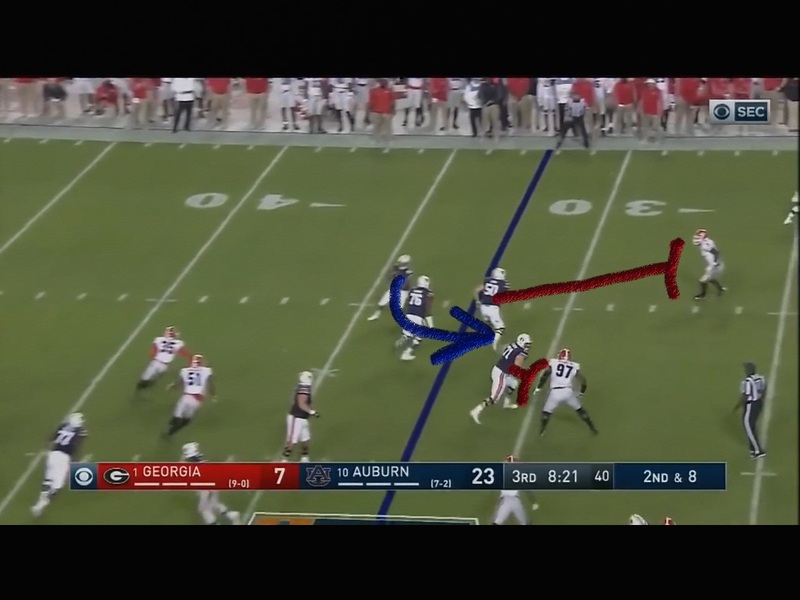 In the 1st matchup, Auburn completely had Georgia off balance due to misdirection, reverses and deception. 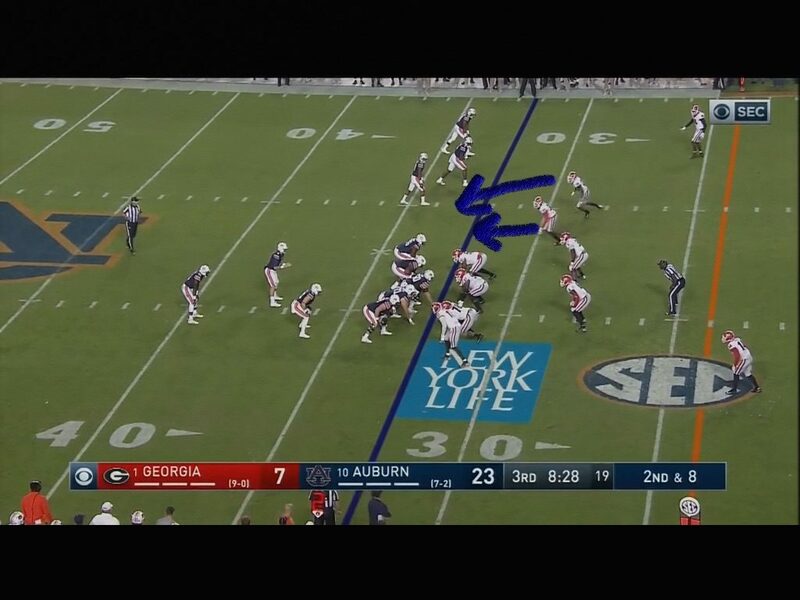 I think Oklahoma may have better speed at the receiver position although Auburn has some fast guys. 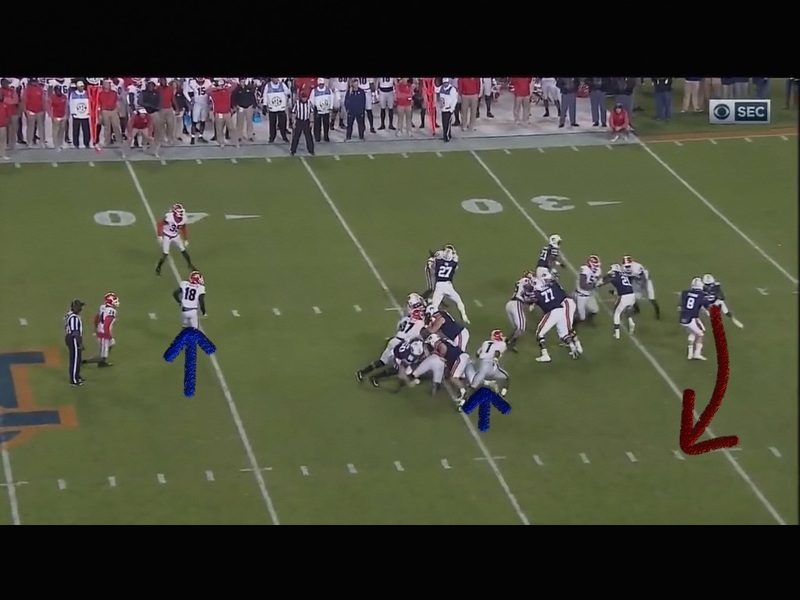 If Riley can set some plays up to get Badet and Hollywood into the open field, look out. 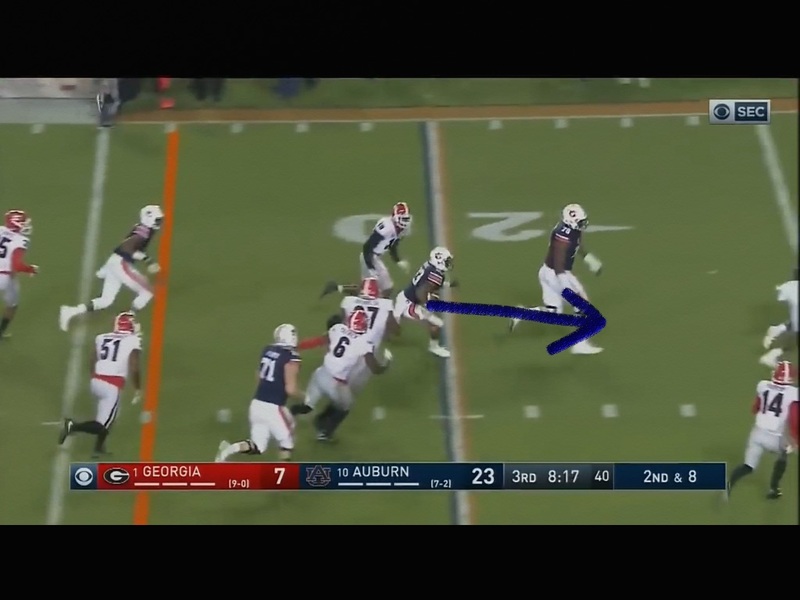 Speaking of off balance, and again, look at the Georgia linebacker showing blitz again. Anyway, the receiver is coming on Jet sweep motion causing the secondary to take note. 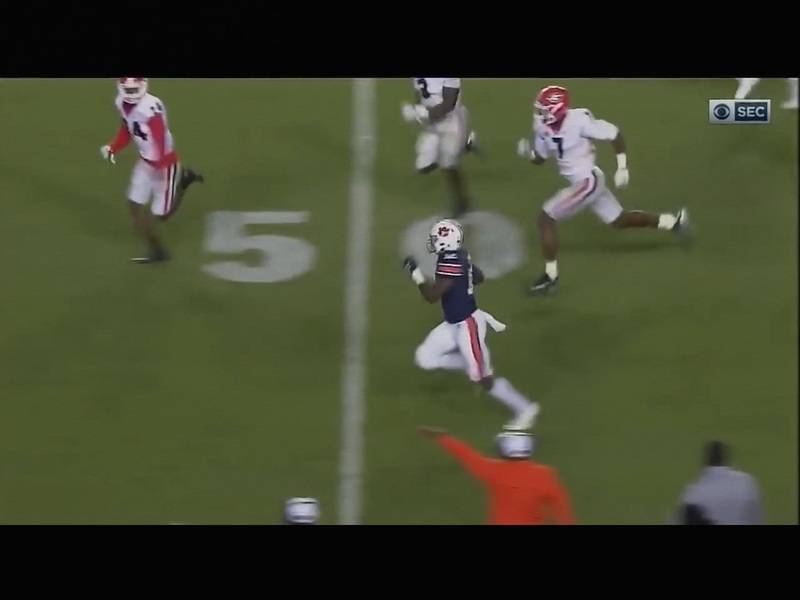 They fake to him, and then give it to Kerryon Johnson up the gut….or do they? So they faked a jet sweep, faked the dive, and then came back on the reverse to the wide side of the field. 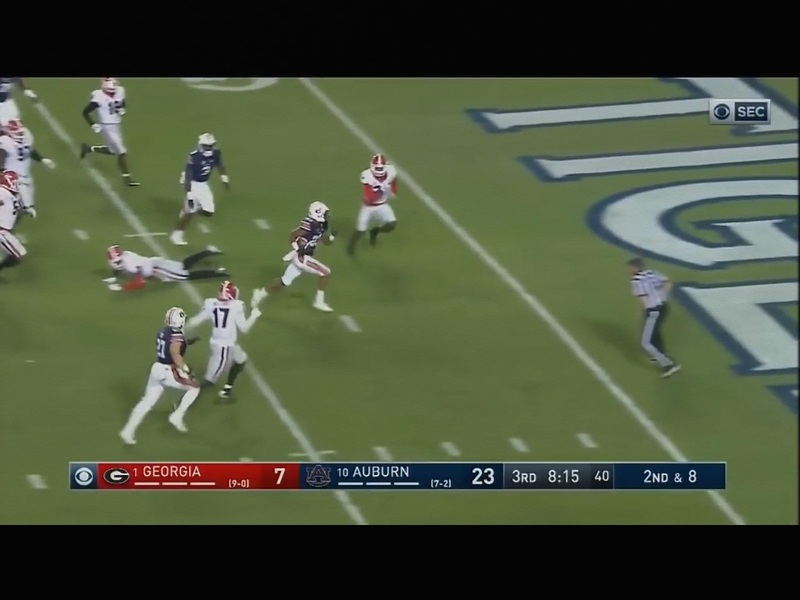 If you look at #18 and #7 for Georgia, they are completely sucked down with all of the fake motion and window dressing. And we’re down the stripe for another big play. 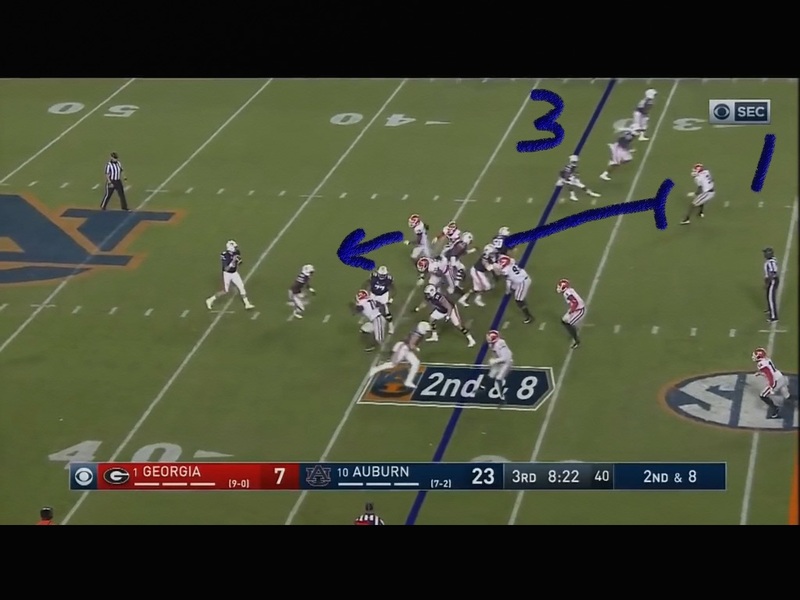 As I dive into the SEC title game matchup tomorrow, I’ll be interested to see how Georgia adapted to this part of Auburn’s game. I’ve not seen it yet where they don’t give away whether they’re blitzing or not.